hightouchmegastore: Does the NBA need more rules changes? Ask Rasheed Wallace. Does the NBA need more rules changes? 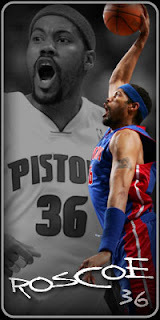 Ask Rasheed Wallace. "Asked about low-post battles with Anderson Varejao, Wallace said, 'It ain't no battles; that kid ain't old enough to be in what you'd want to call a battle. All that flopping, they need to make that a technical foul for next year.'" The long arm of Rasheed. I have to say I got sick of the flopping in the Jazz's loss, the flopping from both teams. I've always loved Rasheed, and I always will.